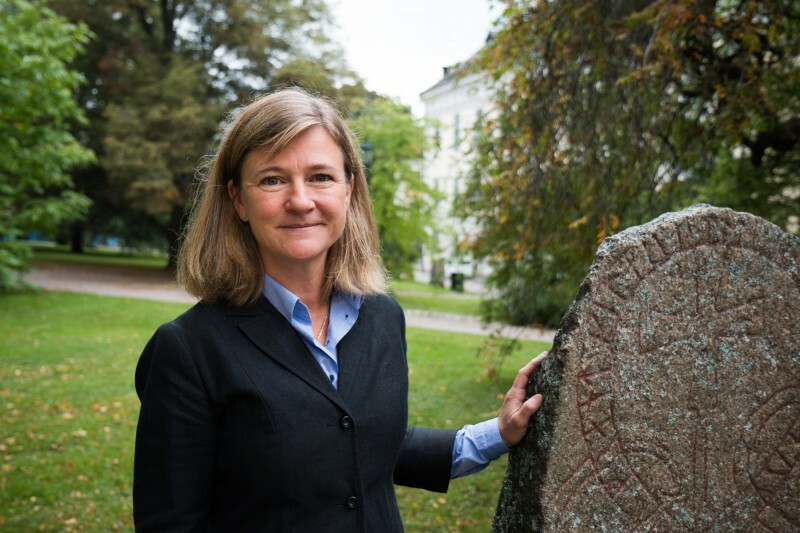 "I am a researcher and part of the Viking Phenomenon research project. I studied at the Archaeological Research Laboratory, Stockholm University, and presented a PhD thesis in 2006 on the Birka Warrior – the material culture of a martial society. With a background in field archaeology and as senior curator at the Swedish History Museum (SHM) I have held research fellowships at SHM, Stockholm University and the Römisch-Germanisches Zentralmuseum (RGZM) in Mainz. Previous research projects have focused on warfare, identities, mobility and material culture in Late Iron Age – Viking Age societies. Most recently I was part of the interdisciplinary ATLAS-project aiming at unravelling human prehistory within present day Sweden by combining archaeology, physical anthropology and genetics. Within the Viking Phenomenon I coordinate work in the sub-project Viking Economics aiming at exploring the economy and organisation of Viking raids and their impact when shaping Scandinavian identities. Key issues relate to how the raids were structured, including comparative studies on piracy, what role women played and the importance of slave-taking and trafficking, both when raiding and in society at large. I will also further develop my own research on the movements along the eastern trade routes and the contacts between Scandinavians and various groups of the Eurasian steppe."